This vanity is a great way to add traditional style to your bathroom. With a white marble counter and brown solid wood base, this product is good-looking and useful. Make your bathroom look like new with this good-looking, useful set from Wyndham Collection. 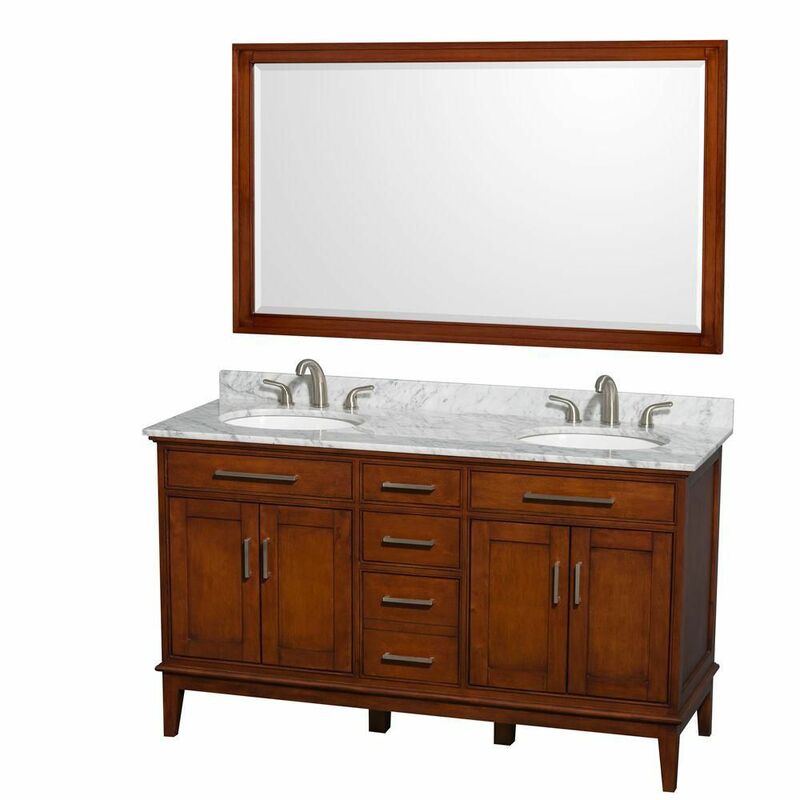 Hatton 60-inch W 3-Drawer 4-Door Vanity in Brown With Marble Top in White, Double Basins With Mirror Designed with a traditional style and strong build, this vanity is a perfect choice for any bathroom. Its white marble counter and brown solid wood base are very easy on the eyes. Put a nice twist on your bathroom project with this classic piece from Wyndham Collection. Hatton 60-inch W 3-Drawer 4-Door Vanity in Brown With Marble Top in White, Double Basins With Mirror is rated 2.0 out of 5 by 1. Rated 2 out of 5 by Spencer from High quality materials, looks great, but unfortunately quality control and... High quality materials, looks great, but unfortunately quality control and customer service are lacking. Getting a small but crucial missing piece has turned into a project dealing with the manufacturer.